It was certainly morning. The brightness of the sun’s rays were compounded by the blaze yellow color of the tent. It was a long night of tossing and turning on the hard ground. I had opted to not use my sleeping pad—that was a mistake. I finally built up the gusto necessary to open the tent door and escape into the mid morning heat. A few youngsters came running over when they saw me standing beside our tent. They seemed excited to see us. Little did we know that they would be our almost constant companions for the next few weeks. Our first day in Hadza land seemed to be shaping up quite nicely. The sky was clear. The people were friendly. And Ounoas, the village elder, and some of the other villagers had come to Jesus the night before. This trip was going to be easy, I thought to myself. Those ended up being famous last words. I decided now was as good a time as any to eat my granola bar ration for breakfast and then take my malaria pill. So I did, and then brushed my teeth, and then joined the others. Charlie Raymond and Miriamu were now up and about and the rest of the tribe was there at our tent waiting, for what I was not sure, but for sure waiting. A few minutes of awkward glances and anticipatory silence gave way to Ounoas speaking in Hadzabe to Miriamu. She turned to us and told us that they wanted some food. We didn’t have much, but we all agreed that it was a good idea to share this gift with them. So we grabbed our sack of corn flower and divided it up among those who were standing there. After finishing the food distribution it was only a matter of minutes before Ngasa and his father came over. At first I wasn’t sure what was happening, there was just a crowd of people gathered around the young boy and his father. So I joined the group. It only took one glance and I realized what the problem was. Ngasa had what appeared to be a broken arm, somewhere close to the elbow. His arm was bent the wrong direction and had swollen below and above the elbow to several times its normal size. Charlie had some wilderness first aid training and so jumped into action. He quickly grabbed his first aid kit, removing the splint and the athletic tape. 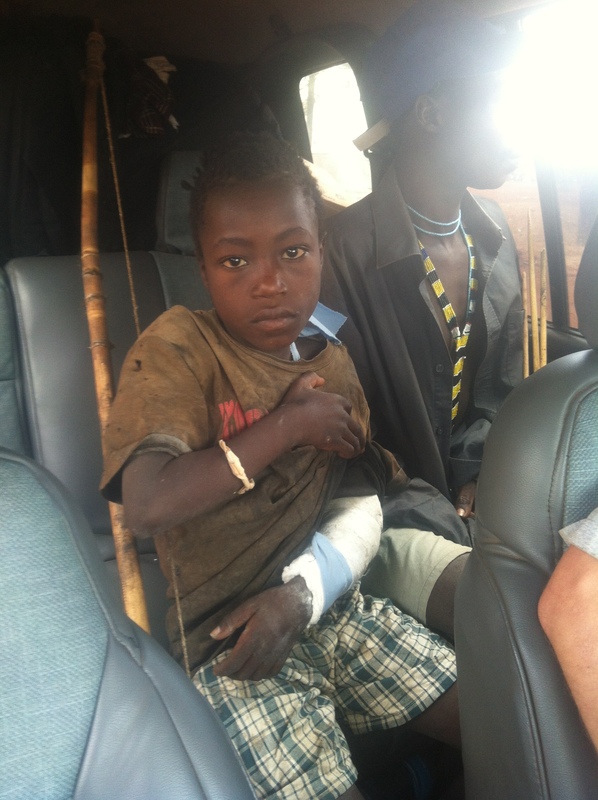 He proceeded to gently secure Ngasa’s arm into the splint. We agreed, it was time to go to the hospital. If not for the arm, then certainly because of what appeared to be a large infection. It is a two hour drive from Gitamilanda to the nearest hospital. But we knew that the welfare of this boy was worth it. The drive is stressful, large rocks are scattered along the gravel road, and our already low to the ground vehicle is bogged down by the additional weight of Ngasa and his father. We hit a few hidden rocks a bit harder than we would like. At one point we hit a rock hard enough that the rear end of the vehicle is lifted several inches off the ground. We inspect the damage, things are dented, but there seems to be no leaks. When we arrive at the hospital in the nearby bush town, we all pile out of the car, just to be met at the gate by a doctor on break. 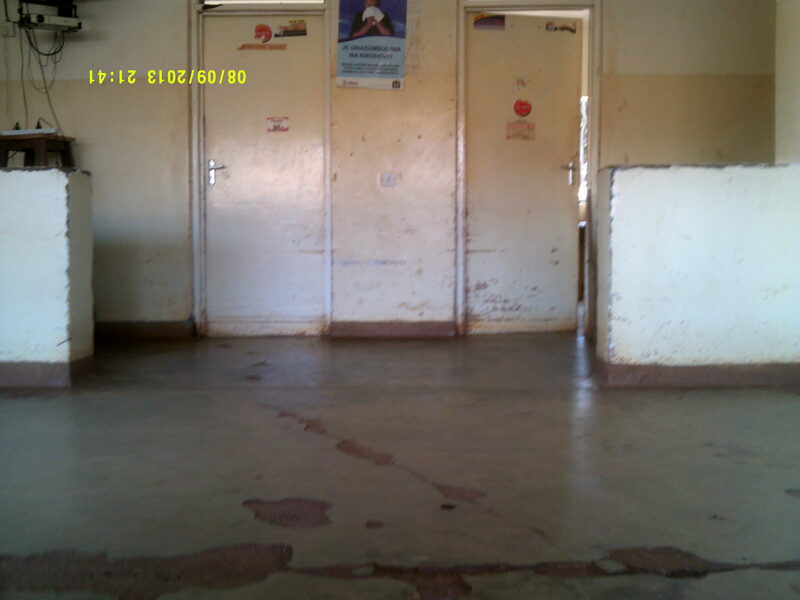 He takes one look at Ngasa’s arm and says that they cannot do anything for him here—they don’t have an x-ray machine. They refer us to another hospital, two more hours away, but in a slightly more developed town, where there is an x-ray. While we are driving out of the parking lot Miriamu recommends that we find the local doctor, a man who might know how to fix Ngasa’s arm without the x-ray. We figure it’s worth a try. After two and a half hours of waiting the man finally arrives. He says that he thinks he knows what is wrong, but if he attempts to fix it, Ngasa will experience excruciating pain. We know that it would be a mistake to cause Ngasa pain just to save some time and gas money. So we begin the journey to the more developed hospital. We arrive at the hospital only after asking several people for directions, and missing the turn off a few times. 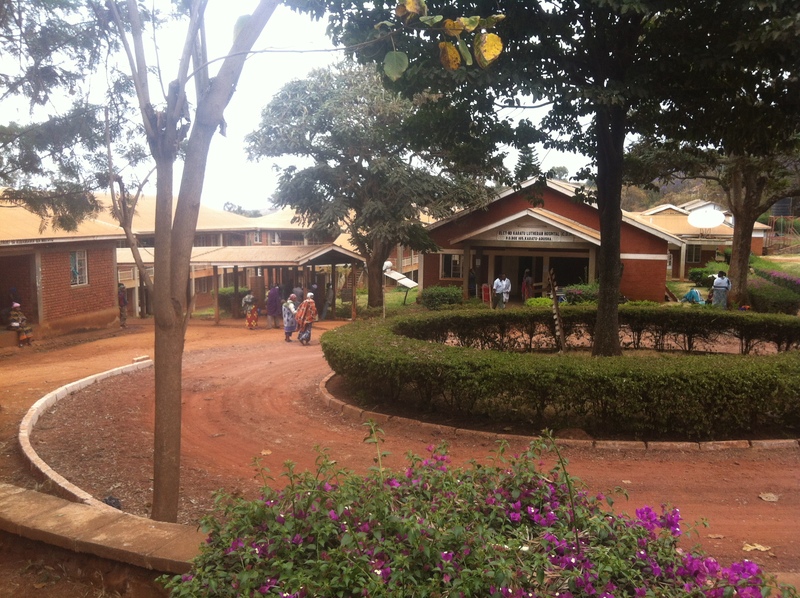 It’s a “Government Hospital” but is in worse shape than the catholic one that turned us away. The walls are covered in flaking paint and dilapidated, fading posters. We check in with a woman sitting in what appears to be a closet that has been transformed into an office. This hospital is like nothing I have ever seen in the USA. The uncovered concrete floors are cracking in a variety of locations. 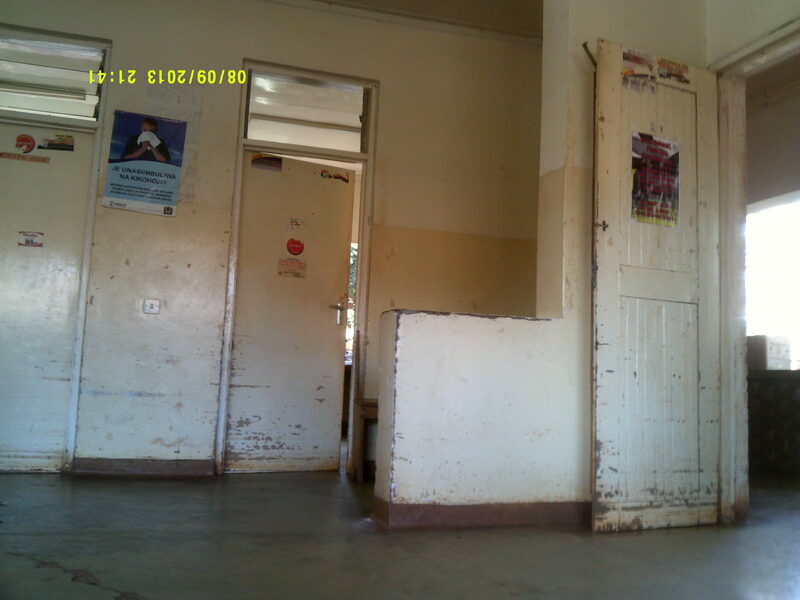 The exam rooms host broken down tables that would barely pass as trash in a first world country, but here they are the exam room beds. I see a few wheel chairs outside drying in the sun. The ‘seat part’ of the three chairs are being held to the frame with nothing official, but they work, I guess. Ngasa is examined by a doctor, who orders an x-ray. Several hours pass while we wait for the x-ray to be taken. Upon inspection of the result, the doctor says, that his arm is not broken, merely dislocated. Charlie, Raymond and I take a deep breath, what a relief I think to myself. That sense of peace is short lived, because the next sentence out of the doctor’s mouth is something like we have to wait until tomorrow to fix his arm. He delineates that the arm has begun to heal in its dislocated placement. And that it is necessary for it to be broken and re placed. They will have to put Ngasa under, and this can only happen when they have more staff the next morning. We are not really sure what to do. Ngasa must stay in the hospital that night and his father with him. But we will have no place to stay. We have eaten very little all day and it is nearing 5:30 pm. We grab some food from the car for Ngasa and his father. While we walk out of the outpatient facility and to the overnight care building, I notice some cloths drying on a clothesline in the hospital courtyard. There are also a few loose chickens and a dog. All are very obvious reminders that we are not home—we are so far from it. We walk into the pediatric facility and are blindsided by a grotesque stench. I am immediately reminded of the stench of butchering deer, a yearly autumn duty for my family the weekend after we go hunting. The stench of butchered flesh and the realization that this is a hospital is enough to turn my somewhat already uneasy stomach. I gag and want to walk out of the building, but I am unable to do so—I need to be here for Ngasa and his father. After they get settled in and finish eating, we realize that it is time for us to go. We need to find somewhere to stay. Which we know will be a journey all its own. We embark. We find the least expensive hotel and stay there. Cheap by American standards, but still money that we don’t have. The next morning we rise early and go to the hospital where we wait with Ngasa. Last night they bathed him, which the nurse said was very problematic. He apparently did not want to be bathed. 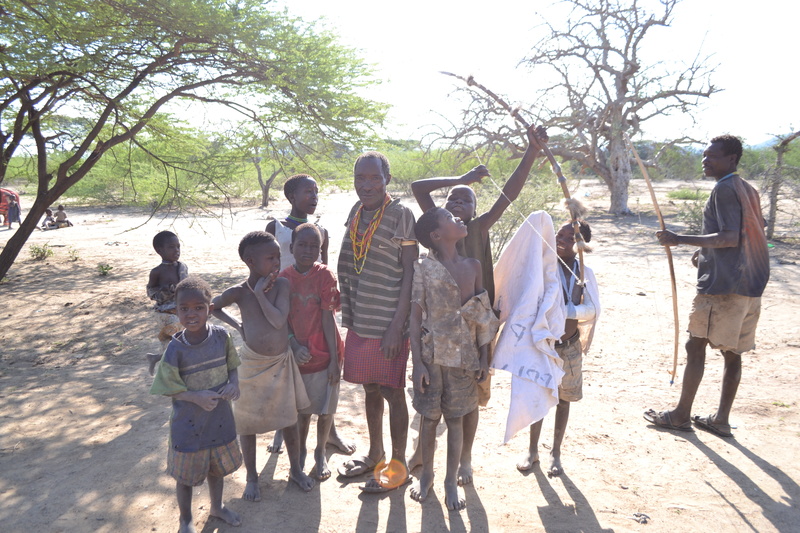 That Hadza children rarely bathe and though I do not know the exact reason why Ngasa objected to the cleaning I assume it’s because he felt that he would no longer fit in with the others. It’s a long morning before Ngasa is taken into the operating room; a long morning that is made even longer when the doctor says that Ngasa will have to stay an additional 24 hours for observation after he undergoes treatment. He comes out asleep, and they slowly wheel him to the pediatric building, we follow. Go in the doors, the stench is no different. He wakes up in a stupor, his eyes are twitching in a very unnatural way and he begins to cry out. He belts out a Hadzabe song with the fervency of an anthem. I think, based on my meager understanding of the Hadzabe language, that he is crying out for his father. We were told to keep them separate. A few were worried that the father would become violent if he saw his son high on anesthesia, because he has never in his life seen the side effects of western medicine. I personally disagreed. It ended up being my job to be with Ngasa as he belted out his anthem. It broke me to see Ngasa in such pain. I pleaded with God to bring him peace… eventually it did come, but certainly not in those moments of anguish. We learned that he calmed down if he could not see us, so we left to get some food for Ngasa’s father. Upon our return to the hospital, Ngasa had fallen back asleep and within a few hours was in his right mind. What a great relief it was to see him reunited with his father. They ate together, nothing like a family meal in the pediatric wing of an African bush hospital to put everyone’s mind at ease. Mid afternoon comes and goes. We have managed to keep relatively occupied. God keeps making opportunities for us to share the gospel with hospital staff and patients. We go around praying with people and some accept Christ. I specifically remember a Maasai man who also had a child in the pediatric facility. We share the gospel with him, he accepts Christ, and then we feel led to go a little deeper. We teach him the Lord’s prayer and use it to disciple him. He is excited about the news and proceeds to tell it to his wife in their native tongue. She decides that she also wants to follow Jesus. Needless to say the time spent in the hospital was not wasted, but it made it no easier to be there. 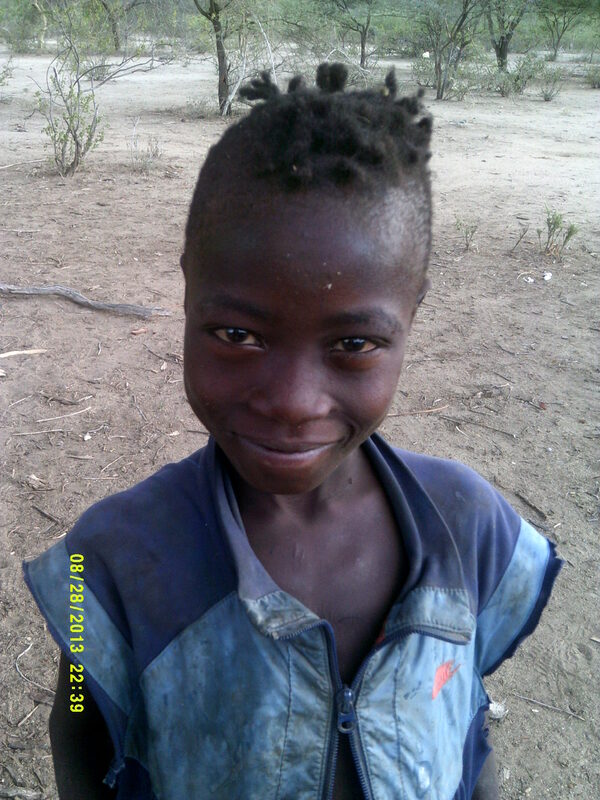 Our hearts and the hearts of Ngasa and his father longed to be back in the bush among the Hadzabe. On the morning of day three, they take one final x-ray. They tell us they have made a mistake, and that his arm is not completely well. They recommend that we take him another few hours to a place where they can perform surgery on his arm. We pray about it. We feel like God speaks that he will finish Ngasa’s healing. We trust what God says and proceed to return to the bush. It’s a long journey. But time goes by quickly knowing that tonight we will finally be back in Gitamilanda. Almost a complete three days after we left we are finally back in the bush. 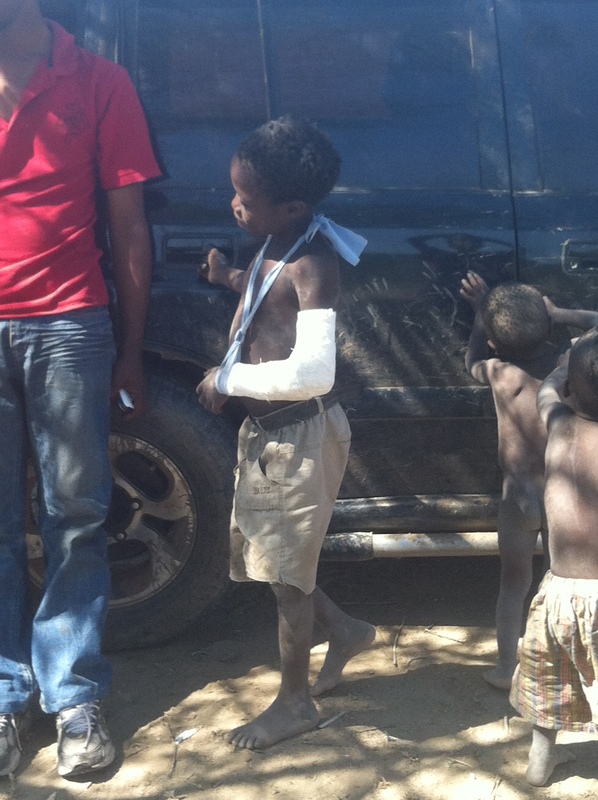 2 weeks later, we remove Ngasa’s cast praying that God has indeed come through on what he said he would do. We ask him to move his arm. He does, and it barely moves. I am broken and I am immediately on my knees praying that God would finish Ngasa’s healing according to what he said to us. Over the course of the next few weeks Ngasa slowly gets back to normal and regains a full range of motion. God is good! In fact by the time we leave Ngasa has even regained enough strength to pull back a child size bow that he uses to hunt mice. In reflecting on these events I have come to realize two things. First God is always at work, even when the going gets tough, he has a plan. All those people in the hospital came to Christ as a direct result of Ngasa being there. Who knows what kind of kingdom impact those few days will have. I also came to realize just one more reality of love and missions. In 1 Corinthians chapter 13 Paul writes a list of what love is. The first one on the list is that love is patient. In missions you must realize that if you don’t love the people your with your going to have problems. Love of God and of the people should be the reason that you are there. So, I learned just one more aspect of what it really meant to love the Hadzabe. It ceased to simply be a word that I said and began to become a way of living. Love is patient… 3 days patient for us. If you are interested in supporting our mission among the Hadzabe or any of our other ministries, please email me at nathanburdick317@gmail.com and ill let you know how you can get plugged in as a prayer or financial partner. We can work together to see the Hope of Jesus cross borders.